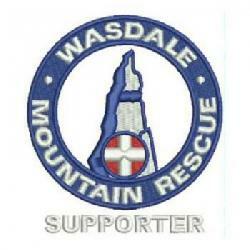 Telephone call from the police to search for two missing walkers in the Scafell Pike area. The couple in their late thirties had left earlier that day and had been lost on the tops. The cloud was down to Mickledore ridge. They contacted the team by mobile phone to say they were making their way down Lingmell. Four team members went out to meet them and they were located at 9.20 pm. They were safely escorted off the fell and the incident was closed at 00:30 hrs Saturday morning.